HortiContact 2019 will take place on 19, 20 and 21 February. The pride of Dutch horticulture. Knowledge sharing and innovations are important spearheads of HortiContact 2019. That is why a number of new theme areas / routes have been set up. A new theme area at HortiContact 2019 is Soft Fruit Experience. Visitors will find companies specialized in soft fruit in greenhouses. In collaboration with Janny Trouw (network coordinator Glastuinbouw Nederland strawberry / soft fruit) interesting lectures are given especially for the soft fruit sector in greenhouses. Janny Trouw gives lectures about Fruitport and the Stichting Aardbei Onderzoek. ABZ Seeds discusses the changeover to strawberry Delizzimo in sustainable, exposed winter cultivation. ICE Agency will talk about the labor market and Octinion about the harvesting robot. The entire program will soon be available on www.horticontact.com. A new theme route is HortiPackaging. Through this route visitors will find everything about packaging, labeling and coding, hot items in greenhouse horticulture. HortiPackaging focuses on growers and growers, packing stations and trading houses. Important themes such as sustainability, automation and the wishes and requirements of the market are amply discussed. A new knowledge pavilion initiated by Kas als Energiebron, Glastuinbouw Nederland, the Ministry of LNV and HortiContact is the Fossil Free Plaza. Here entrepreneurs talk about their experiences with fossil-free cultivation, specialists go into new possibilities and are available daily to answer questions from visitors. The innovation route is a recurring element at HortiContact. By following the innovation route, visitors see the innovative products or services developed by the exhibitors. In this way visitors remain informed of developments in the greenhouse horticulture sector. Start-ups are also discussed during HortiContact. In addition to the regular start-up pavilion, this year for the first time a start-up / scale-up square will be created by HortiHeroes. Start-ups show which innovations and creativity they can add to the market. For over 15 years HortiContact has been the Dutch pride of greenhouse horticulture with an average of over 500 exhibitors and more than 14,500 visitors. 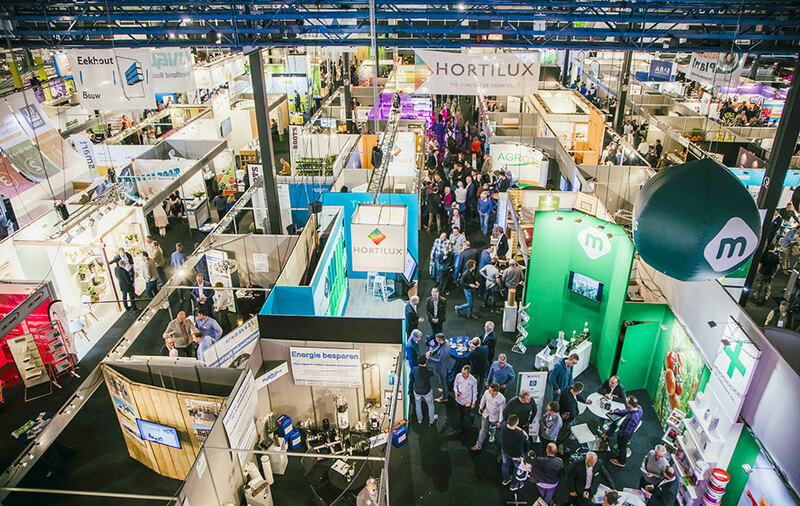 This makes HortiContact the largest sector trade fair for greenhouse horticulture in the Netherlands. Visitors to HortiContact mainly come from ornamental, vegetable and fruit growing (in greenhouses). The exibition can be visited on 19, 20 and 21 February 2019 from 13:00 - 21:00 hour at Evenementenhal Gorinchem.